Two of the blockchain hype bubble’s flagship companies now find themselves with new captains at their respective helms, after their CEOs stepped down days after being charged by U.S. regulators with perpetrating a $27 million penny stock scam. 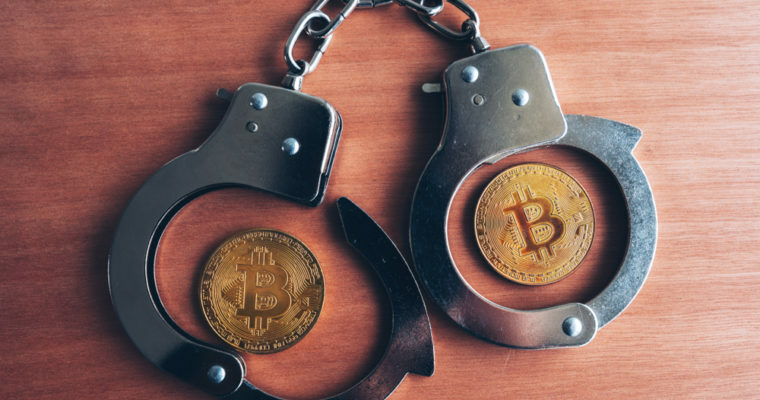 John O’Rourke, who until this week led biotech-turned-cryptocurrency company Riot Blockchain, and Robert Ladd, the CEO of MGT Capital, were named as defendants in a Securities and Exchange Commission (SEC) complaint alleging that they and others orchestrated three “pump-and-dump” schemes to defraud investors. Neither Riot Blockchain nor MGT Capital was named in the complaint. According to the SEC, O’Rourke, Ladd, and eight others — including 81-year-old pharmaceutical billionaire Phillip Frost — conspired to generate more than $27 million in unlawful stock sales by artificially driving up the prices of penny stocks and then selling these nearly-worthless shares at significant profit. The “primary strategist” behind these schemes was an investor named Barry Honig. According to a Wall Street Journal report from earlier this year, Honig owned 9.9 percent of biotech company Bioptix prior to its October pivot to Riot Blockchain, which caused the firm’s shares to soar from $8 to $46 in a matter of weeks. By Jan. 2018, he had sold almost all of his shares, which, following the SEC’s announcement of charges against O’Rourke, are now worth just $4.27. “When stock goes up, you take a profit. Every good investor does it,” Honig told the publication during the January interview. The order does not charge the group with any malfeasance related to Riot Blockchain, but another company that made a high-profile cryptocurrency pivot does appear to make an uncredited cameo. Honig’s WSJ profile notes that he at one point owned more than nine percent of MGT Capital, a gaming-turned-cryptocurrency company once purportedly led by John McAfee, though the SEC complaint suggests that Honig and his fellow fraudsters illegally misrepresented the size of their investments to make them appear smaller than they actually were. While not listed by name, it appears from the complaint that Honig, O’Rourke, Ladd, and their compatriots involved MGT shares in their pump-and-dump scheme. That announcement, compounded with dishonest promotion and manipulative stock trading, drove up the company’s stock price from $0.36 to $4.15 in less than two weeks. The conspirators collectively liquidated 9.3 million shares during that timeframe, netting more than $9.4 million. O’Rourke, meanwhile, has resigned from Riot Blockchain permanently and has been replaced by former COO Chris Ensey.